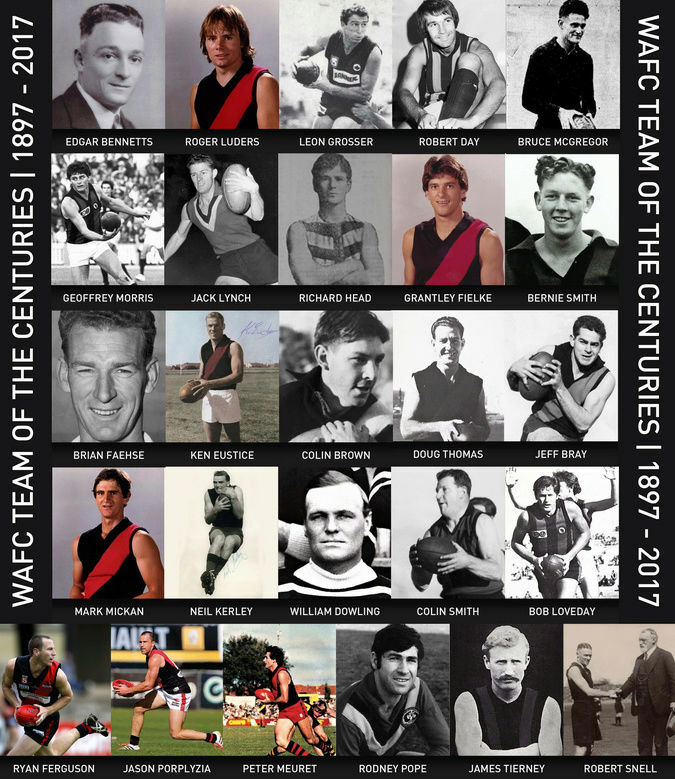 Tomorrow night is our 'Team of the Centuries' night, where 350 people will attend the announcement of our best ever team, selected by a panel including Neil Kerley, Doug Thomas, Grantley Fielke, Bob Loveday, Brian Faehse, David Tidswell and me. It would not have been possible without the huge effort put in by Mark Beswick, who provided all the stats and Graeme Barton who has overseen the whole process. Have a crack at it here. Would Aldo Russian be a lock for first ruckman? You wish Aldo. Keep writing that humour. The night was an outstanding success & a very emotional event for passionate Bloods tragics like me. Passionate, emotional & genuine felt speeches from not only the selected players but also descendants of deceased players like Bernie Smith, Edgar Bennetts, Richard Head etc were the highlight of the night only to be out done by “King Kerls”. Magnificent. President Lee wound up the evening with one of his best performances, a well constructed, genuine, passionate & articulate speech which drew everyone in, leaving no doubts about his love of our great club. Current League players presented the final team in a very professional manner. To Logan Hill, Jono Beech, Kaine Stevens & our skipper Tommy Keough well done boys, you made us proud. PS: Mark Aiston was MC & interviewer. Also brilliant. With the Hall of Fame event a couple of years ago this was undoubtedly one of the best organised shows the club has ever produced. Well done to all involved. Couldn’t they make an exception for Bruce Lindner? Not sure how many games he played for Westies, but he was one of the most exciting players i have seen in a red and black jumper. I think you'l find that Adam Richardson did not kick over 100 goals in a season, Roger Luders is the only player to do so, but i agree, he's a a bit unlucky not to make the side. Was a great night but someone really needs to check over and edit presentations for important functions like this one. Misspelling names, spelling and basic grammatical errors don't reflect well. Everyone at our table noticed it. Bit confusing in IMHO how a player gets picked. I know there are heaps of contenders and all that but how come Bernie Smith Brownlow medalist gets in but not Mark Ricciuto or Adam Cooney also Brownlow medalists? Modra over Luders ? or didn't they play enough games for us to qualify? Fergie as good as he was for us never had a very long AFL career yet gets in? Would Doug Thomas be in the same class as some of the over looked for example? The criteria was a minimum 50 games for Westies, which cuts out Ricciuto, Modra, Cooney & Co. It's all about different opinions and that's great. Who would you have had at full back, TAAARS? As for Fergie, he would have been a star in any team we've put on the park. 4 Club B & F's is right up there. In the end, it's opinions, which is part of the fun. Can I say just how much it meant to those selected. Not complaining just saying it is very hard to compare different decades. eg the SANFL dropped a level when the Crows entered the AFL/VFL and dropped again when Port entered.Not to mention the expanded AFL with the draft taking the cream of every state league playing list. Therefore players in recent decades if they were still in the state league had less to compete with. Love Fergy don't get me wrong but would he have won 4 B&Fs if in the same team as Modra,Ricciuto,Cooney etc? 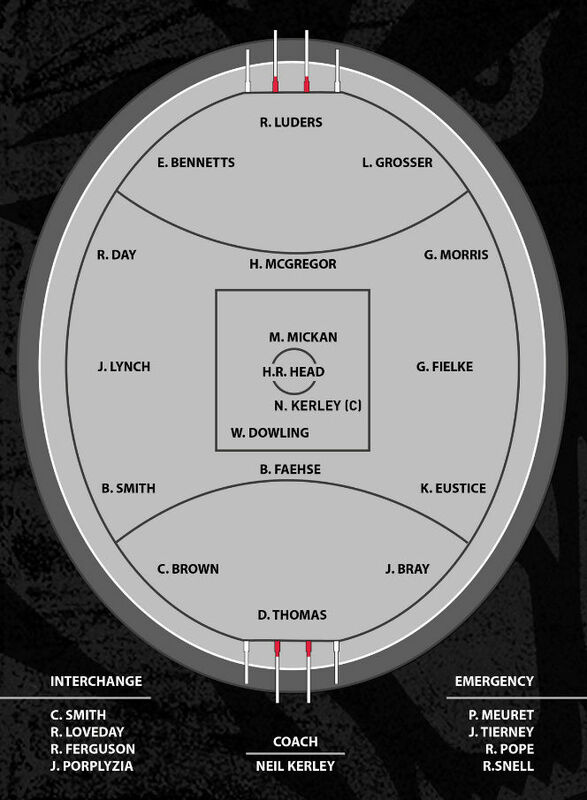 Maybe any future teams like this the amount of games required to qualify needs to be reduced to say 20 (1 season) because if they are standouts they quickly get taken by the AFL system,yet they remain and always will be a West Adelaide player in our eyes. Maybe in our eyes & I know what u r trying to say TAARS but all those players each played a couple of hundred AFL games for their respective clubs so in their eyes WAFC was only a means to an end. I can’t speak for them but in talkking to them over the years they do not really consider themselves true West Adelaide players (due their short tenure) & I’m sure would be embarrassed if selected in our ToC’s team. For instance Mark Ricciuto has always considered Waikerie as his main club. They do however respect our club for what it provided as a SANFL pathway at the time. We will still always claim them though & that is fair enough also. And yet we proudly have them up in our hall of fame( Photo's and all) of them receiving the Brownlow and proudly claim to be the only SANFL club (I think that is still correct) to have produced 3 Brownlow medalists. Should they come down then? No not at all. Also what part of normal is having 5 selection panelists in the team? Surely they should be picked by their peers not by themselves? I would have thought it would mean more to them being that way in the first place. Most of the team are certainties anyway. Why would they be asked to go on the selection panel and pick themselves? Next thing we will have Lee Harradine lining up in the centre! (sorry Lee can't help myself) But you get my drift? A bit embarrassing I think and should have been handled a bit better. I thought I was a chance to play centre, TAAARS but somehow they preferred Head. Strange decision, but there you are. There's no problem showing recognition to our drafted players, but that's a separate issue to the Team of the Century. As for the selection procedure, everyone's opinion is worthwhile, but the team was met with general approval on the night. All I'll say is that the procedure was lengthy and stringent. Having watched luders and modra in thier prime i believe while mods was great luders was everything he was and more. Not only kicked goals but handed of many was a very u selfish player. I don't envy the selection panel they had the toughest job of all. It's very subjective, however Craig Williams would have been my choice for Fullback. Peter Meuret was a sensational player and would have been my choice for the interchange ahead of Porps. Adam Richardson was also unlucky. The Team selected is without question magnificent and it can be debated for ever on who should and shouldn't be in the team. This guy was unlucky not to get in. Fast, elusive and courageous, West Adelaide’s Ron Benton was, in the words of Jeff Pash, “a heroic little figure” for whom “every game seems to be another survival”¹. Over the course of his 184-game 198-goal league career between 1955 and 1959 and from 1961 to 1965 he achieved virtually everything the game had to offer: a Magarey Medal and club best and fairest award in 1957, interstate football (albeit only one game), a near best afield performance in the winning Grand Final of 1961 against Norwood, and West Adelaide’s leading goal kicker award (with 29 goals) in 1963. He was, without doubt, one of the most illustrious players in the history of a club that, over the years, has been blessed with a disproportionately high number of top quality footballers. Yes, Ron was a terrific player. I remember him as a great stab kick pass also. Years ago there was not a big magary medal dinner with players present like now rather officials from all clubs got together and counted the votes and the winner was contacted normaly by phone. I was sleeping overnight at my grandparents place in grey street west end of adelaide when in the middle of the night i heard this male voice yelling "ickle, ickle they just rang me and said i have won the magary medal" ------ ickle was my late grandfather life member thomas harold hamilton and the voice was ron benton. He was a bit of a surprise winner wasn't he? What's your understanding of the reason behind this oldfella? I can only recall talk that he had a falling out with Fos. Rod made it clear he didn't want to leave. A very worthwhile project. So many wonderful footballers produced by the club. Great memories and some even better arguments. I came unstuck early on when deciding on the CHB. Couldn’t pick between Brian Faehse, Jeff Bray and Ryan Ferguson. 3 amazing players. Also, Robert Day was the best centreman I have seen playing for Westies but he ended up on a half forward flank. This would put him up against someone like Paul Garnett. I would argue that Garnett was a better half forward flanker than Day. Garnett was a specialist – he would get 5 kicks a game but kick 4 goals. Similarly, Ken Eustice would have played most of his footy (for West) across the centre and he ended up on a half back flank. Having said this he could play anywhere and be a champion. Johnny Taylor unlucky to miss out on a half back flank. 200 game/ premiership player. Some very good players missed out. Agree that Ron Benton was unlucky but we have had so many good midfielders. My (fading) memory of Ron Benton’s 1957 Magarey medal was that he was at the movies on the night of the call and a note was put on the screen telling him to report to the manager. Fearing a family accident he went to the manager's office to be told by WA officials he had won the medal. This account would still be compatible with the previous post. When Doug Thomas came back from a coaching stint in Dimboola he played a bit of footy at full forward. All this proved was what a good full back he was. I can remember him kicking out from full back and the ball landing in front of the Richmond oval grandstand! As a FF he was possibly the last player to dropkick set shots for goal. More than a few would be kicked into the man on the mark! Well done to all concerned for putting this fabulous team together.